Lift heavier weights – build more muscles! 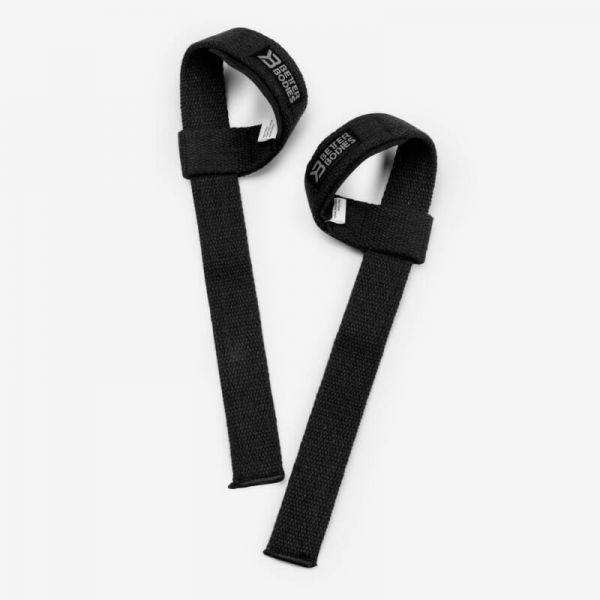 The Better Bodies Lifting Straps are made out of a durable cotton canvas that has been supported with wrist pad cushions for extra comfort and wrist protection. They have an adjustable hand loop with reinforced stitching and an extended length that makes it possible for you to wrap the bar multiple times. Extended length (60 cm) – wrap the bar multiple times! Weiterführende Links zu "Better Bodies - Basic Lifting Straps, schwarz"
Kundenbewertungen für "Better Bodies - Basic Lifting Straps, schwarz"